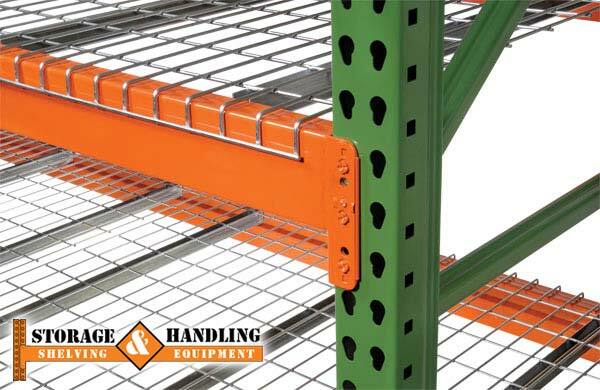 Storage & Handling – we have new and used pallet racking and material handling equipment. We offer new and used pallet racking, lift trucks, heavy and light duty shelving, modular offices, mezzanines, wire decks, wire decking, metal grates, frames, crass members and a host of other related industrial and warehouse material handling equipment. 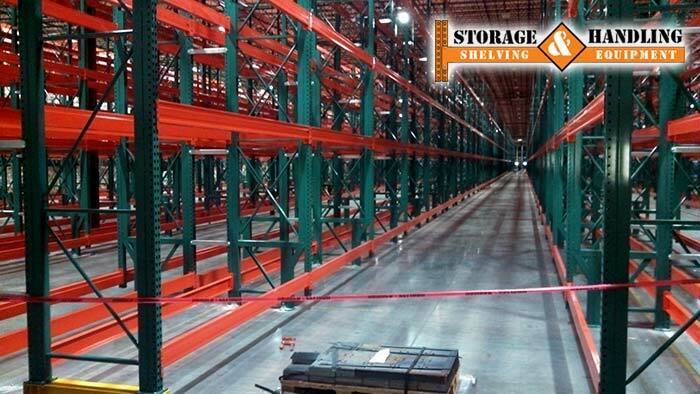 New and Used Pallet Racking throughout Tampa. Storage & Handling, Your professional pallet racking expert. Warehouse pallet racking is the most popular type of industrial rack storage. Sections, known as pallet rack bays, are created using uprights (also called frames) as the vertical support columns. The horizontal beams, in pairs, make the levels that support loads when held up by pallet rack uprights. Each pallet rack bay must have at least two uprights, but if you want to have multiple bays in a row, you can use a common upright to connect the bays. Whether you are looking for a new pallet rack system, or to buy used pallet racking, you’ve come to the right source. We have pallet rack systems in-stock and ready for immediate shipment the most popular sizes in new and used pallet racking at unbelievably low prices. We can help with all your pallet racking needs. Our trained professionals are dedicated to doing the best job for your company. 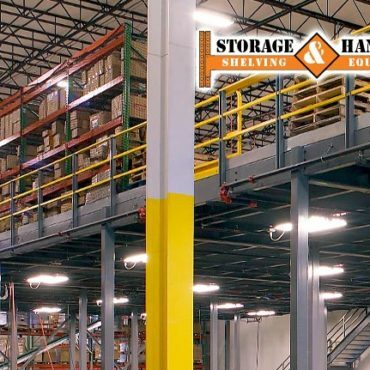 Storage & Handling in Tampa Bay specializes used pallet racking, used racks, industrial used pallet racking, industrial used racking, used industrial racking, used heavy duty racking & used material handling equipment. New & Used Pallet Racking in Pinellas Park. 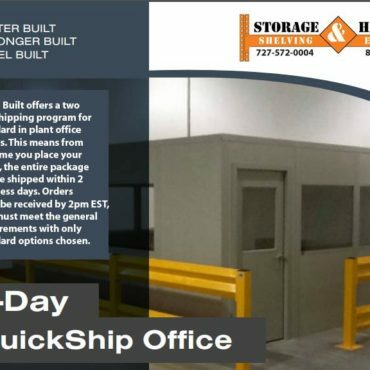 The Pallet & Cantilever Rack Specialists Clearwater, Tampa and St. Pete Florida. Your cost per square foot is constantly on the rise. That’s why you need to make sure every cubic inch of your existing space is organized and efficient. One of the simplest and most economical ways to streamline your space is to use pallet racks and cantilever racks to pull it all together while keeping everything easily accessible. New and used pallet rack can free up space and improve efficiency on manufacturing floors, in retail back offices, on construction sites and in government office supply rooms. Popular Sizes and Dimensions are Available in Stock! Our new pallet rack uses the most Common beam attachment in the rack industry. Two teardrop punches, side by side on 2” centers. Beams are adjustable every 2”. The Husky Rack & Wire line of pallet rack features brands synonymous with quality in the pallet rack industry for more than 49 years. Uprights are available in both 3″ x 1-5/8″ posts, and in 3″ x 3″ posts with heights up to 46 ft. INVINCIBLE® RACK uses the most common beam attachment in the rack industry. Two teardrop punches, side by side on 2” centers. Beams are adjustable every 2”. The teardrop pattern is an industry standard and accepts most teardrop style beams. Beams feature the patented Bowlock® safety clip. Bowlock® cannot be sprung or removed without first removing the beam and requires no special tools. Standard colors are green uprights with orange beams. Call for other color options. 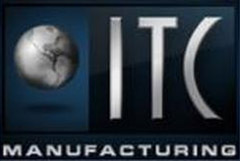 Invincible Rack exceeds OSHA requirements for safety and function. 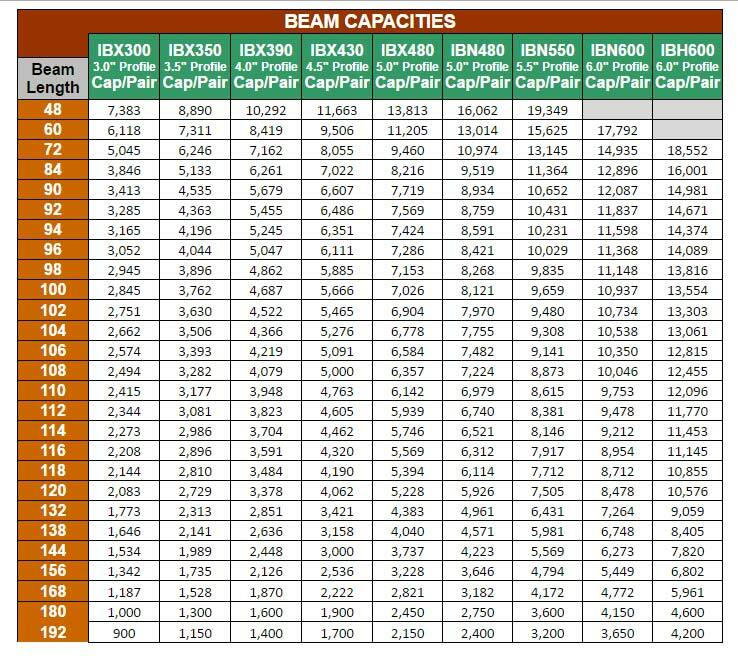 • Beam capacities up to 20,000 lbs with lengths from 44″ to 168″ • Upright frame heights from 6 to 46 ft, unspliced. 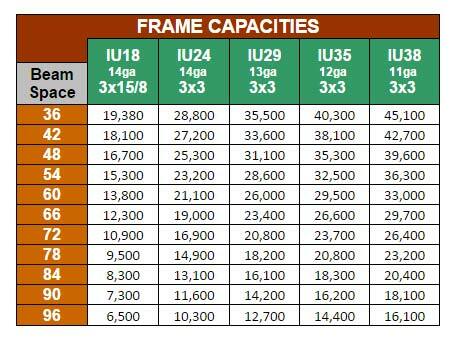 • Upright frame depths from 24 to 72 inches. • Special capacities and sizes as well as modifications for seismic rated pallet rack are available on request. • Double post and reinforced frames are available for special applications. Storage & Handling, your professional pallet racking expert. Pallet rack is a material handling storage aid system designed to store materials on pallets (or “skids”). Although there are many varieties of pallet racking, all types allow for the storage of palletized materials in horizontal rows with multiple levels.